Experience an awesome one hour boat trip in and around the V&A Waterfront harbour and along the Atlantic Seaboard (route is weather permitting). Followed by Cape Town city sightseeing by bus (valid for one day). Hopping on and off at your leisure, creating your very own personalized Cape Town city Experience. Departing 20 minutes from every stop. This is by far the best way to see our Mother City time and time again. This experience is for two and forms part of a group. Allow a full day for this experience. The cruise is for one hour only. 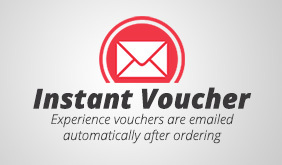 This package includes a nominal service fee and an electronic gift voucher. I trust you are well. I would just like to take this opportunity for the amazing experience on Saturday, 30 April 2016. This was the very first competition I have won, and boy , oh boy! was it amazing! I had the privilege to take my aunt along with me. My reason for choosing her, she lost her husband through the terrible Cancer and during that time I was living with them. I came all the way from George, spent the weekend by her and could see she needed the day out. The service on boat and bus was simply incredible. A few pictures are attached. :-) Have a blessed day.